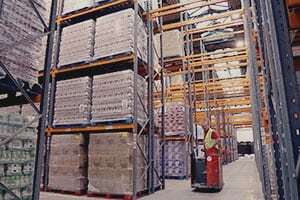 From a single parcel to a full pallet, Taylors Warehousing is here to offer you flexible supply chain warehousing solutions. 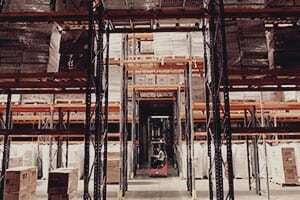 Rather than the hassle of managing their own warehouse and the problems that come with it, many customers choose to outsource their logistics requirements saving them time and money and allowing them to focus on their core activity. Our sites are available for immediate occupation, and our unrivalled implementation ensures that our customers experience no interruption to their business. We offer all our customers the same excellent level of service, whether the storage requirement is for 20 pallets or 20,000. We use an industry leading warehouse management system, which gives you detailed and accurate information for your individual operations. Contact our friendly team to discuss your requirements or make a booking. Our warehouses use the latest technology to deliver a fully integrated live system with access points across the facility. We have full traceability on all jobs and total inventory control. We can offer customers the option to print and scan barcodes, tailored batch numbers, best before dates, hazardous and packaging codes. Our systems work seamlessly with your systems to produce tailored reports and a full third party logistics solution.